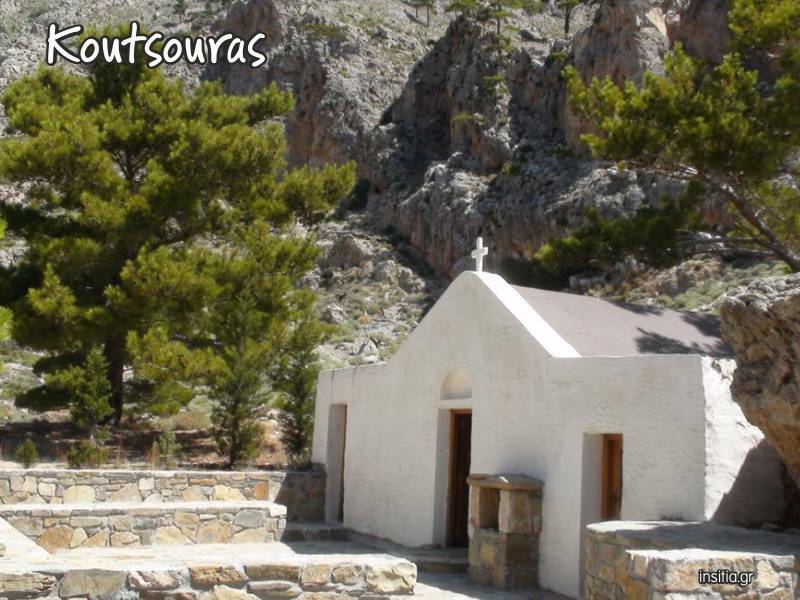 The name Koustsouras (which is similar to the English word logs) is believed to come from the logs which came from the cutting of the pine trees that took place in the area for the systematically cultivation. 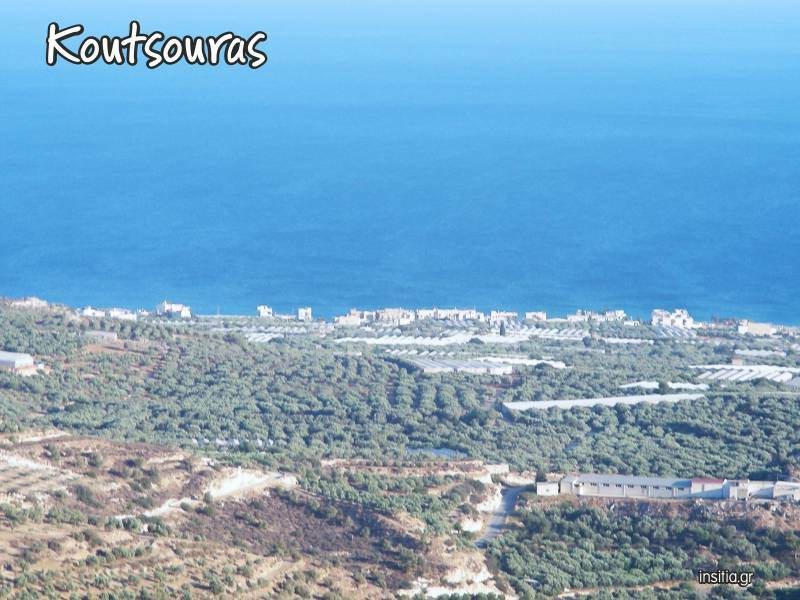 According to another version the canyon draw away the logs from the surrounding mountain areas and this is how they ended to Koutsouras plain. 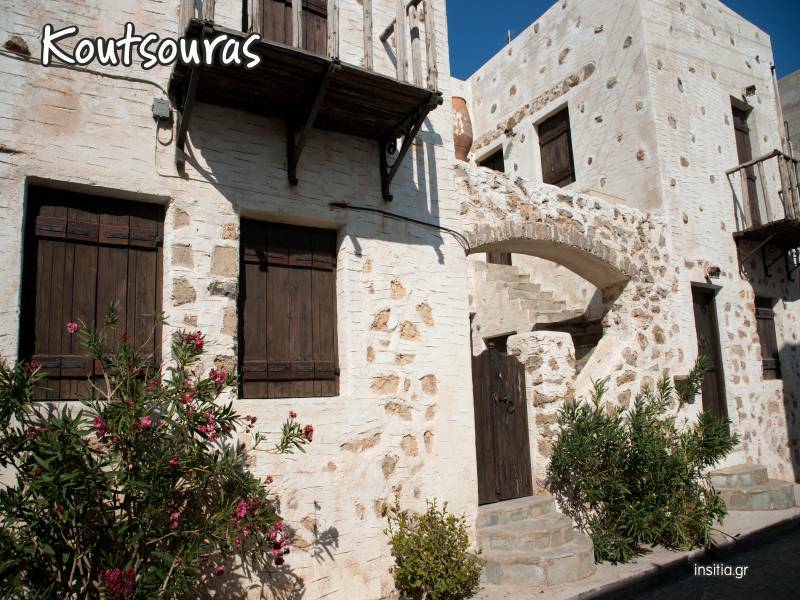 The village was established around 1950 when residents from the surrounding villages and mainly from Stavrochori village moved in the settlement of Koutsouras. 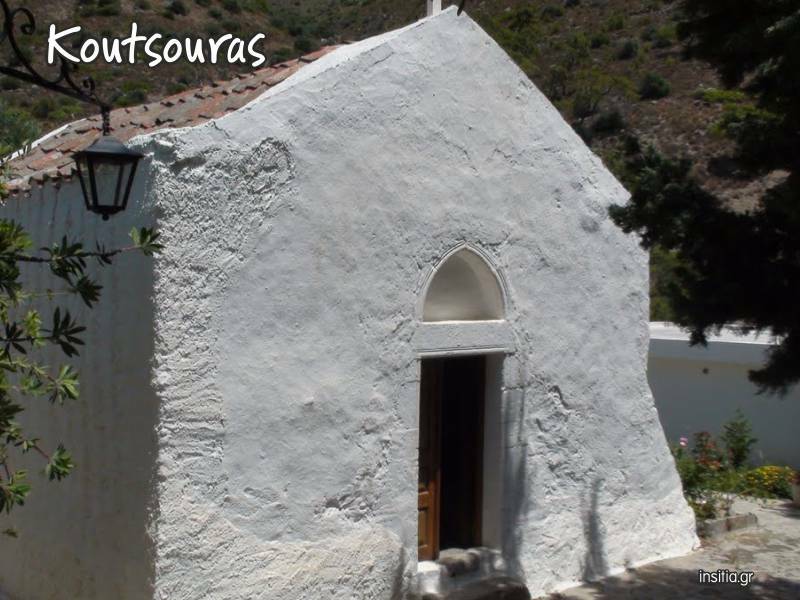 The main church of the village is Saint Irini and the patron Saint is Saint Anthony. The legend says that during the Turkish occupation the feast day of St. Anthony, the Turks attempted to kill all the residents. The residents in order to save their lives locked in the church and after their prayers, the chancel opened in two pieces and this is how they managed to save themselves.